UNRWA’s Educational Activity in the Middle East UNRWA – the United Nations Relief and Works Agency for the Palestinian refugees in the Middle East – was established in the wake of the Arab-Israeli war of 1948 by the UN General Assembly resolution 302 (IV) of December 8, 1948, in order to carry out relief and works programs for the war refugees. The agency began its operations on May 1, 1950. 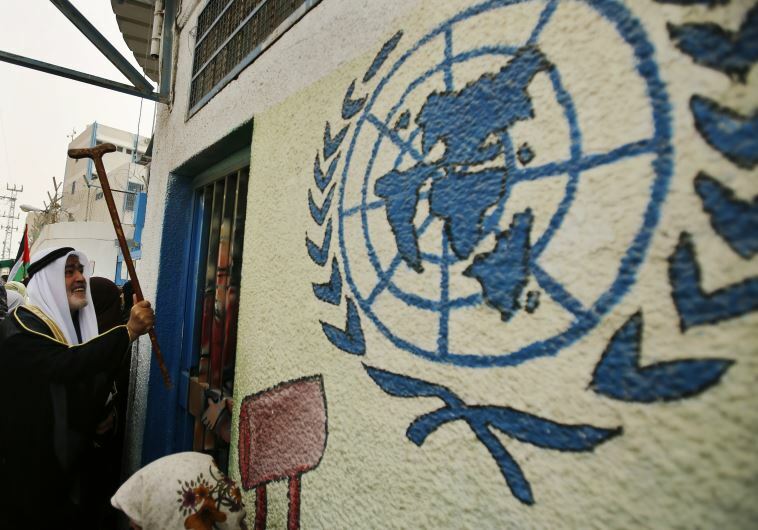 In the absence of a solution to the refugee problem, the Assembly has repeatedly renewed UNRWA’s mandate. UNRWA’s unique position of classifying as refugees the descendants of the 700,000 or so original refugees has brought about the increase of their total number over the years, and it now exceeds 5 millions. About half of UNRWA’s total regular budget is dedicated to education (USD 363,076,000 – 49.35% out of a total of USD 735,748,000 in 2017). The agency offers also health and social services. UNRWA provides free-of-charge basic education to children of Palestinian refugees in the Palestinian Authority-controlled West Bank, the Hamas-controlled Gaza Strip, the Israel-controlled East Jerusalem, and in Jordan, Syria and Lebanon. During the school year of 2014/2015 it ran a total of 685 schools caring for 493,500 students. 252 of these schools were in the Gaza Strip and 97 were in the West Bank, with 240,413 and 50,566 students respectively. Two of UNRWA’s West Bank schools are actually located in the greater Jerusalem area that was annexed to Israel in 1967. In 2017/18 the number of the Gaza Strip schools has risen to 276 with 271,216 students, and those of the West Bank decreased to 96 with some 50,000 students. Basic education means both elementary and intermediate schools, that is, grades 1-9 and 10, depending on the specific school system in each country. Only in Lebanon does the agency operate some nine high schools as well, since Palestinian students of these grades find it difficult to study in local public or private schools.